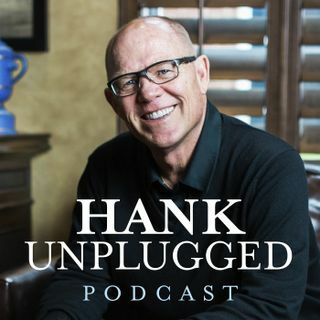 This week, Hank is joined on Hank Unplugged by Mary Eberstadt, author of It's Dangerous to Believe: Religious Freedom and Its Enemies. Her writing has appeared in TIME, the Wall Street Journal, the Washington Post, National Review, First Things, and The Weekly Standard, and in March 2017, she was named Senior Research Fellow at the Faith and Reason Institute. They discuss the secularist religion birthed by the Sexual Revolution and how it helped yesterday’s sinners become today’s secular ... See More saints. Topics discussed include: the secularist religion birthed by the Sexual Revolution (3:00); Christians being labeled as bigots and a damaging decrease of dialogue in society (9:30); the social experiments of the Sexual Revolution (13:00); what inspired Mary to do the work she is doing? (16:00); the new hypereugenics movement and Margaret Sanger as a secular saint (20:30); the growing ideological incoherence of many who claim to be Christians (30:00); the anti-Islamophobia motion in Canada and their censorship of Hank with the release of MUSLIM: What You Need to Know About the World’s Fastest-Growing Religion (34:00); the demographic crisis in Europe (40:00); the need for Christians to pursue excellence in word and thought in the public arena (46:30); dhimmitude and the death of religious liberty in America (48:30); the Nazarene pin and the Scarlet letter that being a Christian has become in society (52:00); how the Sexual Revolution helped yesterday’s sinners become today’s secular saints (55:00); Mary’s wake-up call to the West (1:01:30). I really enjoyed this engaging conversation. I have read Mary Eberstadt's book, "It's Dangerous to Believe" and found it very informational and eye opening regarding how our liberal society is demeaning and devaluing Christians and Christianity in general... a very timely read. She is a fascinating speaker and excellent writer.